Early midface aging can produce the appearance of puffy and tired lower eyelids due to a deep shadow, which is called a tear trough deformity (a depression or shadow at the junction of the lower eyelid and cheek next to the nose). 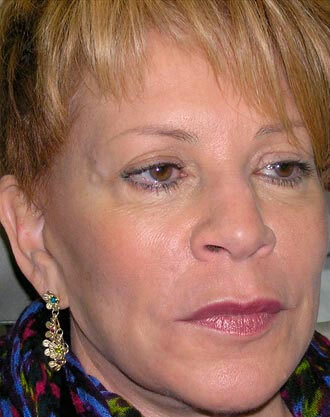 Many patients with this problem incorrectly seek lower eyelid blepharoplasty and are unhappy with the outcome. 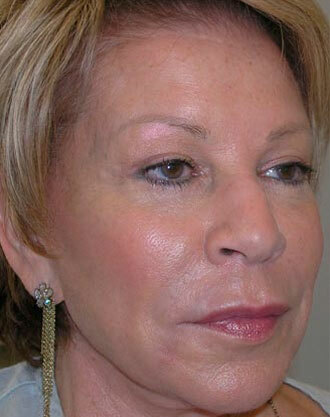 Removal of lower eyelid fat flattens the area but produces a hollowed appearance and an elongation of the lower eyelid. 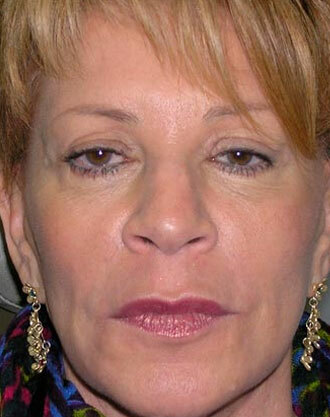 Patients like Mrs. B., shown below, can receive volume addition with fillers such as Juvederm or Restylane, fat grafts, or other specialized surgical procedures to correct the tear trough and produce a more youthful and refreshed appearance.